BRANSON, MO, September 27, 2007 – Eleven families celebrated September 26, 2007, with Branson Tourism Center. 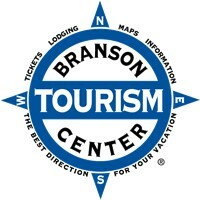 One lucky family received a free vacation to Branson, a $100.00 pre-paid BP gas card and they are featured on BransonTourismCenter.com. In addition, on the day that the one-millionth ticket was purchased, 10 of their customers received a $100 gift card, courtesy of Branson Tourism Center. The full-service Branson vacation company is celebrating a major milestone–a staggering one million theater and attraction tickets sold in just four years–and the customer who purchased the millionth ticket won a refund of their entire vacation arranged through Branson Tourism Center. Branson Tourism Center owner Lianne Milton said the millionth-ticket promotion is one way her company can thank the clients that have helped it grow so quickly. "We want to thank all our customers for helping us reach our goal of selling a million tickets over the past four years," Milton stated. "Branson Tourism Center has achieved this level of performance in such a short period because of our satisfied repeat customers and the referrals our customers continue to send our way. The vacation refund and prepaid gas card is our way we can express our appreciation to our customers." Branson Tourism Center sold its millionth ticket September 26, 2007, to the Spitznagle family from Mulberry, Indiana. All three ladies were on vacation to celebrate their birthday, and chose Branson as the destination to celebrate. Up until the moment they checked in, they did not know they had won. But even those who did not win the millionth-ticket promotion will still enjoy memorable vacations in the live entertainment capital of the world, thanks to Branson Tourism Center's focus on their customers. The company, a full-service travel agency exclusively serving visitors to Branson, Missouri, creates vacation packages tailored to their customer's individual tastes and offers personalized advice on everything from restaurants and special events to recommendations on sought-after limited engagements–all with no service fees or extra charges. "We would like to thank all of our customers who helped us reach this milestone," said Milton. "Our customers have brought us where we are and our focus on making their vacation to Branson as memorable and enjoyable as possible is unwavering. To show our appreciation we are also running a promotion that gives an additional ten cents off each gallon of gas to all customers who order through Branson Tourism Center, between now and October 15, which is in addition to our regular twenty cents per gallon discount." "When Branson Tourism Center customizes our clients personal vacation plans, they get a combination of all the best dining, lodging and entertainment venues at the best discounted prices," Milton explained. "Because we receive volume pricing from Branson theaters, attractions, lodging, restaurants and shops, we are able to pass those savings on to our customers." Branson Tourism Center is open 8 a.m. to 9 p.m. every day of the year, except Christmas. The company's 80 employees are dedicated to discovering each traveler's special interests, providing insider information on the Branson area, including shortcuts the locals use to get around town. Branson, M.O. (September 25, 2007)— Six-time Grammy and ten-time American Music Award winner Randy Travis will perform for a Christmas show taping at THE MANSION (189 Expressway Lane) for an evening of free entertainment Sunday, October 7 at 7:30. The concert, sponsored by Feed The Children, is free and open to the public and will be filmed for an up-coming Feed The Children Christmas television special due to air later this year. Seating is available on a first-come, first-served basis. Travis will sing songs from his new Christmas album, "Songs of the Season". (417) 239-1333, or visit http://www.themansiontheatre.com/. Founded in 1979 by Larry and Frances Jones, Feed The Children is consistently ranked as one of the ten largest international charities in the U.S., based on private, non-government support. The mission of Feed The Children is to deliver food, medicine, clothing and other necessities to families who lack these essentials due to famine, war, poverty or natural disaster. In FY 2005, Feed The Children shipped more than 183 million pounds of food and other essentials to children and their families in all 50 states and internationally, supplementing more than 1,463,065 meals each day. Since its founding, the organization has reached out to help those in need in 118 countries around the globe. For more information, please visit www.feedthechildren.org. The American Presidents Museum, operated by the nonprofit educational organization the National Center for Presidential Studies, will partner with Target to create educational and fun programs designed to bring young visitors to the museum. Grant monies will be used for educational development of programs, supplies for hands-on activities, and the addition of interactive displays within select exhibits, all under a program "Kids in the Museum." "We couldn't be more pleased to have received national recognition from Target for our efforts," said Stormy Lynn Snow, executive director of the museum, and founder of the educational center. "Equally as important as their generous contribution of the $2,000 grant is the credibility this award gives our efforts." The grant is part of ongoing efforts by Target to strengthen families and communities throughout the country. Since opening its doors, Target has given five percent of its income to organizations that support education, the arts and safe families and communities. Today that translates to $3 million every week. "At Target, we are making a real difference every day through our grant-making program," said Laysha Ward, vice president, community relations, Target. "We're proud to partner with American Presidents Museum and the National Center for Presidential Studies as part of our ongoing commitment to give back to the communities where our guests and team members live and work." The American Presidents Museum is a collection based around American history and the history of the American Presidency. From the Oval Office to eras of history, visitors travel the growth of our nation and the leaders that have paved the way. In addition to a magnificent collection of artifacts and dozens of exhibits, the American President Museum offers numerous youth based programs including Home School Days; Ben's Book Club — a reading club for grades K-8; Merit Badge University, programs for Scouts and a full calendar of special events and activities. Having just celebrated is first year; the museum currently occupies temporary space at 2849 Gretna Road, in the former Majestic Steakhouse Building, while establishing a building fund to raise capital for a full educational center and museum campus. "As a nonprofit educational center and museum, we rely heavily on grants and corporate donations for our funding. We hope that this is a stepping-stone to a long road of support from the community and businesses across Southwest Missouri," said Snow. "Our biggest challenge is finding a permanent home." The American Presidents Museum is open daily Monday — Saturday 9 a.m.—4 p.m. and welcomes young visitors at no charge for general admission with paying adults, in an effort to encourage more area families to take advantage of the many programs offered. For more information about the museum and its programs, visit their website at www.americanpresidentialmuseum.com. Minneapolis-based Target serves guests at 1,502 stores in 47 states nationwide by delivering today's best retail trends at affordable prices. Target is committed to providing guests with great design through innovative products, in-store experiences and community partnerships. Whether visiting a Target store or shopping online at Target.com, guests enjoy a fun and convenient shopping experience with access to thousands of unique and highly differentiated items. Target (NYSE:TGT) gives more than $3 million a week to its local communities through grants and special programs. Since opening its first store in 1962, Target has partnered with nonprofit organizations, guests and team members to help meet community needs. The Branson Veterans Task Force will be holding a luncheon during Veterans Week, Nov 7, 2007 10:30 A.M. at the All American Cafe 239 Shepherd of the Hills Expressway, Branson, MO. This luncheon is for the Blue Star & Gold Star Mothers & Gold Star Wives. A Blue Star mother is a mother who has a child currently in active duty, a Gold Star Mother is a mother who lost a child in conflict and a Gold Star Wife has lost a husband in conflict. If you are a mother or a wife, we would be so honored to have you at this program and luncheon. This is a moving ceremony and has offered much healing to those attending. For reservations and more information please call the Branson Veterans Task Force 417-337-8387. If you do not fall under the category of a Blue Star & Gold Star Mother or Gold Star Wife, you are welcome to attend for a minimal cost. Please put this wonderful event on your calendar. Again, reservations are required 417-337-8387. The Branson Veterans Task Force will hold its monthly City Wide Meeting Sept 26, 3:30 PM at the Citizens Union State Bank, Community Room, 4675 Gretna Rd. If you missed our Press Conference on Sept 20 be sure to attend this City Wide for information on our November Event. Thursday from 5:30 PM till 8:00 PM, Playtime Pizza will be combining its regular Karaoke with a “Jam” and live music. If you sing or play an instrument, come prepared to have dinner and join in. Every Saturday night at 7:30 PM, at Playtime Pizza, we clear the floor in the middle of our dining room, and offer line dancing and couples dancing to the beginner or the more experienced dancers. If you’re looking for a place to dance, or you want to learn how to dance, come join us at Playtime Pizza. The cost is the price of our buffet. Come have dinner, see our weekly Saturday show at 6:30 PM, then join in the dancing at 7:30. At Playtime Pizza, it’s all about “Just Having Fun” ! Saturday, September 29, from 6:30 PM to 7:30 PM, at Playtime Pizza, the award-winning trio “Psalmody”, comprised of Leanne Kelley, Darla Ramos and Teri Barry, will not only entertain you with their tight harmonies , but with humor as well. You’re really going to enjoy their rendition of some 40’s & 50’s music, and Southern Gospel music, for which they have a real flair. “Psalmody” traveled throughout the US and became the number-one-requested ladies trio in Northern California. They have performed with groups such as The Florida Boys, The Martins, Lisa Daggs, The Isaacs and more. You won’t want to miss this great evening, so bring the whole family. The concert is FREE with the purchase of our buffet. Playtime Pizza is all about “Just Having Fun”, so come join in. Every week, Playtime Pizza will be doing special events and concerts. It’s different every week, so come check it out. Branson, Missouri – The World"™s Largest TITANIC Museum Attraction located in Branson, Missouri, today confirmed it will stage a series of unique, interactive events throughout the 2007 fourth quarter. Designed to entertain, enlighten and encourage participation, each event will provide guests new experiences. Beginning Thursday, September 20 through Sunday, September 23 the public is invited to watch award-winning sculptors shape a Titanic masterpiece from a 15-ton, mountain of imported sand. Upon completion, the sculpture will measure more than 20 feet from stem to stern and will tower more than 8 feet above Titanic"™s beach area. Professional sculptors will be on hand to give children – and any adult with an urge to be a kid again – tips on building sand castles of their own. This four-day event is another free, Titanic family experience. To view photos of similar, previous events, visit http://www.titanicbranson.com/media. Star Search! Titanic to Host Local Tryouts For Nationwide, Children"™s Talent Contest. Ready, set, sing. Oscar Mayer and American Idol have teamed up to produce a nationwide children"™s talent contest for kids age six and older. The winner will star in Oscar Mayer commercials, sing the famous jingle and receive a college scholarship worth $20,000. Selected as an official tryout headquarters for the Branson area, the Titanic Museum Attraction invites kids who think they can "cut the mustard" to come in for an audition. Monday, October 8 — Tuesday, October 9 from noon to 5 p.m. The Oscar Mayer WienerMobilâ„¢ will be in the Titanic parking lot throughout the tryout period, providing a unique photo opportunity for contestants and their families. Visit http://www.singthejingle.com for additional contest information. On Saturday, October 13 from 7 p.m. to 10 p.m Titanic Museum Attraction will host a special wine tasting event that promises to be an evening of elegance and style aboard ship. Michael Gelman, wine aficionado and executive producer of Live with Regis and Kelly, and his wife, TV personality Laurie Gelman, will be the celebrity guests of honor. Attendees will meet the Gelmans, hear behind- the-scenes stories about Live and learn Michael and Laurie"™s secrets of fine wine selection. Bijan"™s of Springfield will cater the affair, with wine sampling selections from Palate Winery. Admission: $100.00 per person. Space is limited, so reservations are required. Call 417-334-9500 or for more information or to make reservations. Te Gelman"™s photo, visit www.titanicbranson.com/media. The Saturday, October 13 event has been sold out. To meet additional reservation demands for this popular mother/daughter event, Titanic has scheduled a second day of tea parties on Sunday, October 14 from noon to 4 p.m. Etiquette rules, proper manners, place-setting protocol, pouring techniques and refined behavior will be served along with finger sandwiches, sweet delicacies and fine English tea. Each one-hour booking of 100 young ladies includes the Princess Tea and a Titanic tour. Throughout December, Father Christmas will drop anchor at Branson, Missouri"™s Titanic Museum Attraction to brighten spirits and spread the joy of the season. Visitors will find him holding court on the Grand Staircase, surrounded by children eager to catch his eye and whisper wishes in his ear for what they hope awaits them Christmas morning. February — "Sweetheart Month" Celebrations with Titanic"™s Jack and Rose. Join us on Historic Downing Street in Hollister for the 9th Annual Grape and Fall Festival, from 10 a.m. – 9 p.m. Saturday September 29. Enjoy great food, wine tasting, craft booths, a 3-on-3 Basketball Tournament, and a free activity tent for the kids! The highlight will be the Grape Stomp competition at 12 p.m., hosted by comedian and ventriloquist Jim Barber. Enter your Grape Stomping Team today for the chance to win fabulous prizes! The Grape and Fall Festival will also feature free entertainment by local favorites Johnny Lonestar; Mike Nichols; Red, Hot and Blue; Oddacity; and Jake and Elwood Blues from Legends In Concert. It will be fun for the whole family! The Grape and Fall Festival is presented by the Hollister Area Chamber of Commerce. Sponsors include the Taney County Airport, Penmac, Ozark Mountain Bank, the Branson Daily News, Hometown Radio and Branson Ridge Winery.